Manufacturer of a wide range of products which include 4 port fxo analog gateway, 4 port fxs analog gateway, 8 port fxo analog gateway, 8 port fxs analog gateway, 16 port fxo analog gateway and dinstar 16 port fxs analog gateway. FXO analog gateway is IP-based voice and fax gateway. FXO gateway delivers the analog lines to the Subscriber/PBX/system. 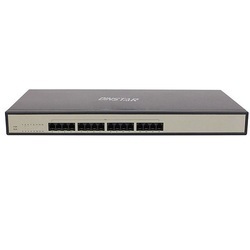 It provides 4 FXO ports to connect to normal analog phones and PBX. FXS stands for Foreign Exchange Subscriber. FXO gateway is used to receives the input via subscriber/System. 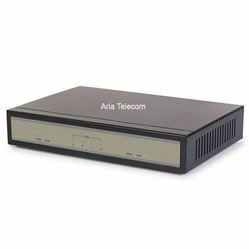 Aria Telecom is a leading supplier and manufacturere of FXO/FXS gateway in India. It can be used as office communication, internal communication institutional campus and large residential area, housing society communication. FXO (Foeign Exchange Office) Interface receives POTS service, typically from a central office of the Public Switched Telephone Network (PSTN). To connect analog phone lines to an IP phone system you need an FXO gateway. 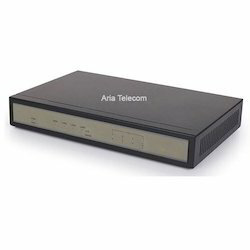 Aria Telecom provides various range of FXO gateway to connect to normal analog phones and PBX at real value time. 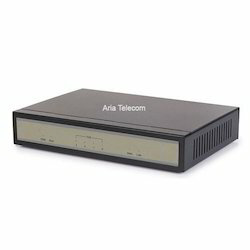 16 Port FXO Gateway provides facility to connect 16 analog device to connect with the network and provides facility to get accessed with VoIP network. Dinstar FXS Gateway is versatile IP based voice and fax gateway. User can connect analog phone, fax, PBX with standard voice interface and provide high quality voice service. The device allows 16 analog device to connect with network and gives the functionality to get accessed to a VOIP network.